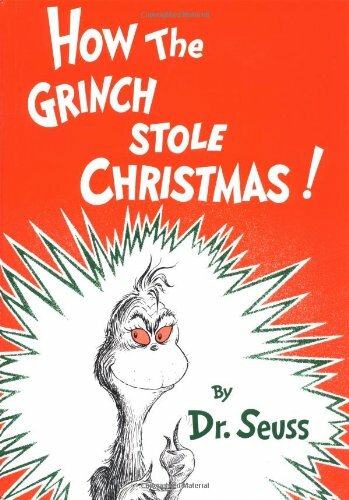 Earlier this week one of my students wore a Grinch shirt and I was instantly reminded of the classic Christmas story of How the Grinch Stole Christmas by Dr. Seuss. I read the book to my class and my students were very familiar with the characters and story line. (Perhaps because they have seen the movie, but I'd like to think they've heard the story a time or too as well). How the Grinch Stole Christmas tells the classic tale of the Grinch, who lives alone on a mountain with his dog Max. He loathes Christmas and wants to prevent all the Who's down in Who-ville from singing and enjoying their roast beast on Christmas Day. The Grinch devises a plan to steal Christmas from the Who's. Upon returning to his mountain he discovers that the Who's are still celebrating despite their lack of Christmas decorations, gifts and food. Christmas is more than the things that you can buy, it's a feeling inside. Will the Grinch return Christmas or continue with his plan to steal it away? I bet you already know. Don't forget this classic Christmas story this holiday season!